When you are going on a long hike or a solo trip, you might find that a compact one person tent is one of the most convenient options. There are a few different styles and brands of single user tents on the market, but one of the best one-person tents is the Lynx Mountaineering 1-person tent by ALPS. Are you curious about whether or not the tent lives up to the hype? 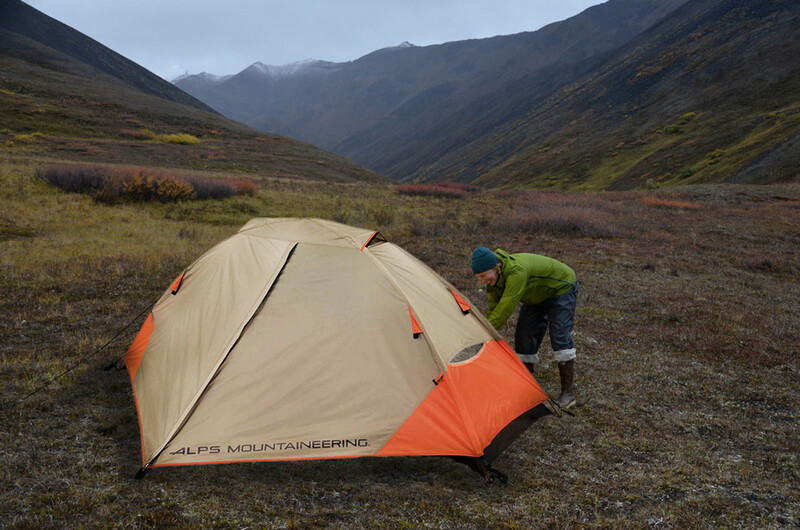 This ALPS mountaineering Lynx 1-person tent review will go over all the details about the tent. You can learn more about its specifications and features and see how it performs in various temperatures and settings. We will look at the good and the bad of the tent and tell you if purchasing it is a good idea or not. How Does the Lynx Measure Up to Other 1-Person Tents? Are ALPS Mountaineering tents any good? In general, the brand is a favorite among campers and backpackers, so we wanted to see how the ALPS 1 person tent measured up. We were pleasantly surprised to see that there were a wide range of features included in this tent. First of all, the tent is surprisingly compact. 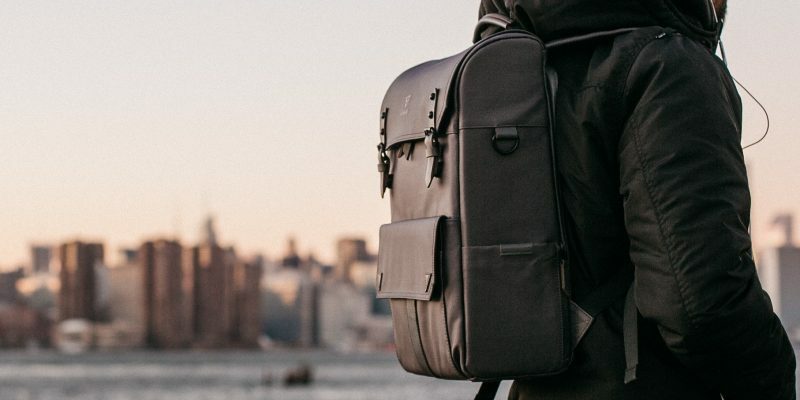 It folds away to be just a little over a foot in length, so you can stow it away in a backpack. Even if you do not need to fit all of your camping gear in a small bag, this compact size is useful for storage. Once you get to your campsite, the tent is quick and easy to set up. The tent only has two basic poles, and then the fabric part hooks onto the poles with ease. Though it is freestanding, the tent does come with some stakes to keep it from blowing away that we do recommend using at all times. The base tent has wide mesh windows to keep you cool, or you can add the tent fly for water resistance and warmth. The tent is long enough and wide enough to comfortably fit a large person along with a medium sized backpack. It has a single door that zips open and closed. Both the tent and the fly are made from a nice and sturdy polyester that does not easily tear or scratch. One of our favorite features is the vestibule that comes with the rain fly. After you attach the rain fly to the tent, part of it folds out to create a little waterproof shelter for belongings that cannot fit in the tent. This storage space is impressively large at over 10 square feet, so you can even keep firewood and other bulky items dry in the optional vestibule. ALPS has factory sealed the floor and fly seams to keep moisture from coming in. Here are a few details about the dimensions and specifications of the Lynx tent. Like any other tent, the ALPS Mountaineering Lynx 1-person tent is not meant to be a multi-purpose tent. It is constructed specifically for dealing with certain climates and habitats. The tent is primarily meant for backpackers, so it is designed to be as small and lightweight as possible. The material used for the tent may be lightweight, but it is durable enough for camping in relatively rough ground. In general, the best place to put the tent is on a flat area with fairly dry land, and you may want to use a ground cloth to protect the fabric from rocks or sticks. However, we have discovered that the tent floor can withstand grass or dirt sites without requiring a ground cloth. In harsh weather, our opinion is that the ALPS one person tent does a decent job of holding up. The stakes are long enough to keep it firmly attached to the ground in the wind, and the aluminum poles do not break in the wind. Thanks to the water resistance, especially around the seams and along the floor, you will be happy to hear that rain and snow do not seep into the tent. Remember that no amount of water resistance can defeat a flood, so make sure you pitch the tent above high tide marks or away from flood plains if you want to stay dry. As long as you have the fly on, the ALPS mountaineering Lynx 1-person tent is very warm. You can use it in cold weather and light snow without running into any problems. A nice thing about being in such a small tent when the weather is cold is that it does a great job of trapping your body heat. Keep in mind that the Lynx tent is not a tent intended for long stays in temperatures far below freezing. You probably do not want to take it on extreme hikes far up into the mountains during the middle of winter. The Lynx 1 tent is great for camping in the spring, summer, and autumn. If you remove the rain fly, you will find that the tent has two large mesh windows. This allows cool breezes to come in and body heat to escape while you are in the tent. There are almost no complaints about the tent ever being too hot. Some people even use it for desert camping without running into any issues. That said, in muggy conditions you may want to pair it with a small, portable tent fan. There are a few other one person tents on the market, so it is worth mentioning how the Lynx 1 tent compares to these options. The fact that it is pretreated at the factory is definitely a point in the Lynx tent’s favor, since many other one person tents require you to apply a water resistant material on them before you can use them. The Lynx 1 tent also has more things included, since it comes with stakes, ropes, and a carry bag. Compared to other one person tents, we find that the ALPS Mountaineering option does better in a wide range of temperatures. There are some great cold weather tents on the market, but they are far too stuffy in warmer weather. The Lynx 1 person tent can be used in both warm and cool climates, since you have the option of taking off the rain fly and opening up the mesh windows. Though it might not work in winter, it definitely wins at being a tent you can use throughout different seasons. The ALPS Lynx tent cannot be beat when it comes to convenience. It folds up to a fairly small size, so you can stuff it in your pack along with everything else you need. When we set it up, it typically does not take more than a couple minutes. At the end of a long day on the trail, the ability to crawl into your tent and be asleep almost immediately is invaluable. The dimensions of the tent are slightly longer than a few of the other one person tents out there, which is a big plus for us. Taller people can comfortably lay down without kicking the walls of the tent, and shorter people have a little extra space for storage. Being inside of the Lynx 1 tent is fairly comfortable. It is long enough for even the tallest hikers to comfortably stretch out. It is a little on the narrow side, so if you like to sleep with your arms and legs stretched out, you might find that it takes a little time to get used to. The tent is tall enough for shorter people to sit up straight inside, though those with very long torsos might need to crouch slightly. There is a convenient little pouch hanging from inside the tent, which we like to use for storing some of gear. Since the tent is over 7 feet long, there is plenty of space for a pack stuck at the top or bottom of your sleeping bag. The two large mesh windows are fairly see-through, which is great when you wake up to see a stunning view outside. Without the rain fly on, you can see into the tent, so remember that you will want the fly on if you desire privacy. 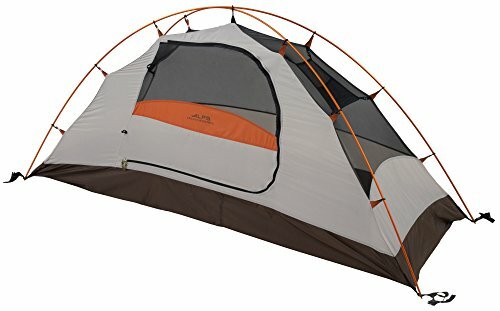 The tent underneath the rain fly is a soft greyish beige color with accents of orange along the door and on the hooks that clip onto the tent poles. The poles themselves are also orange to match the overall color theme. You can see a strip of darker brown along the bottom of the tent where the bottom fabric comes up a little over the sides. We like that this color scheme blends in with nature while still having a little orange for visibility. Of course any ALPS Mountaineering Lynx 1 review would not be complete without us giving you our basic pros and cons for the tent. Here is a simple description of the main reasons people love and hate the ALPS tent. The ALPS tent is very easy to setup and take back down again. It folds down into a very compact size. Fold out vestibule provides extra storage space. Freestanding tent design does not require stakes for structure. Mesh walls provide plenty of ventilation. Comes with tent patches, stakes, carry bags, and other useful extras. A little heavy if you plan on using the tent for lengthy backpacking trips. 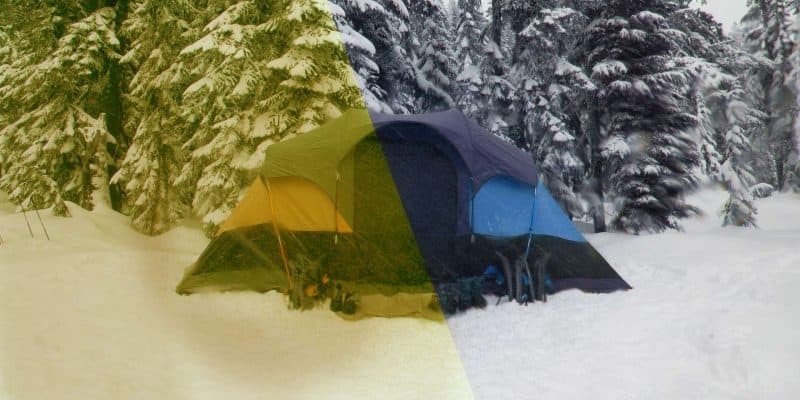 Due to its lightweight materials, the tent is not suitable in extremely cold weather. You will not have an excessive amount of space inside the tent for storing extra items. Tall people may not be able to sit up straight inside the tent. To conclude our ALPS Mountaineering Lynx tent review, we want to share a few final thoughts on the ALPS Lynx 1. The main downside we could find is that it might not be ideal for extreme winter or extraordinarily lengthy backpacking trips. However, if you just want a solid little one person tent for camping along trails or mountains, the ALPS 1-person tent is a great choice. If you already have a tent, but need to get the smell out after a long trip, check out our handy guide about the best ways to clean a smelly tent. Get the stench out of your tent. 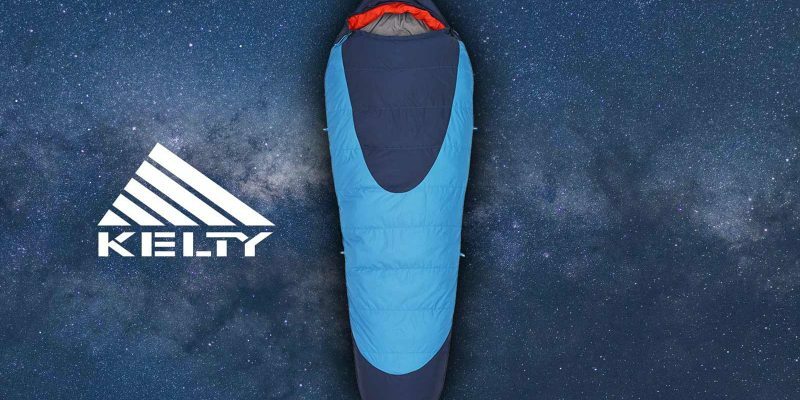 A sleeping bag that’s out of this world. Crush your campus, not your back. GEARCTRL is a participant in the Amazon Services LLC Associates Program, an affiliate advertising program designed to provide a means for sites to earn advertising fees by advertising and linking to amazon.com.